The Japanese drug company agreed to pay $2.37 billion to plaintiffs who claimed the companys blockbuster Type 2 diabetes drug, Actos (pioglitazone), gave them bladder cancer. Complaints also said that the company hid the risk from patients and doctors and failed to warn the public. Actos is prescribed to type 2 diabetics and has been subject to massive litigation and billion–dollar verdicts. If you or someone you love has been harmed by this dangerous drug, do not hesitate to contact our reputable Acto injury attorneys in Tulsafor a free, no obligation consultation. 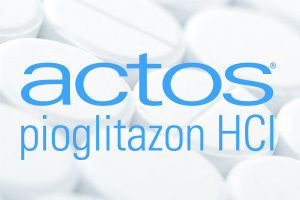 Actos was introduced into the market in 1999 to treat diabetes,and it is still being prescribed. Takeda claims that the lawsuits filed are without merit and the benefits of Actos outweigh the risks. However, the company has agreed to settle bladder cancer claims to reduce the uncertainties of litigation. If 95 percent of plaintiffs agree to the settlement, the company will pay out $2.37 billion, but if 97 percent of plaintiffs agree to the settlement, the amount will climb to $2.4 billion. The terms of the settlement would provide each plaintiff with upwards of $296,000 depending on the patients age, smoking history, family history and other variables. Last year, a jury in Louisiana ordered Takeda and Ely Lilly Co., a co-marketer of Actos, to pay $9 billion in damages to a victim who was diagnosed with bladder cancer after taking the drug. The award was later reduced by a judge to $36.8 million. Since 2013, Takeda has faced at least nine trials related to Actos, five resulted in awards for the plaintiffs. Several studies, including the most recent published by the British Medical Journal in 2012, have revealed that Actos led to an increased risk of developing bladder cancer among study participants. At the Edwards Law Firm, we believe the manufacturers of unsafe drugs such as Actos should be held accountable when someone is put at risk by their products. If you or a loved one has been harmed by the use of Actos, you need to explore your legal options before it is too late.